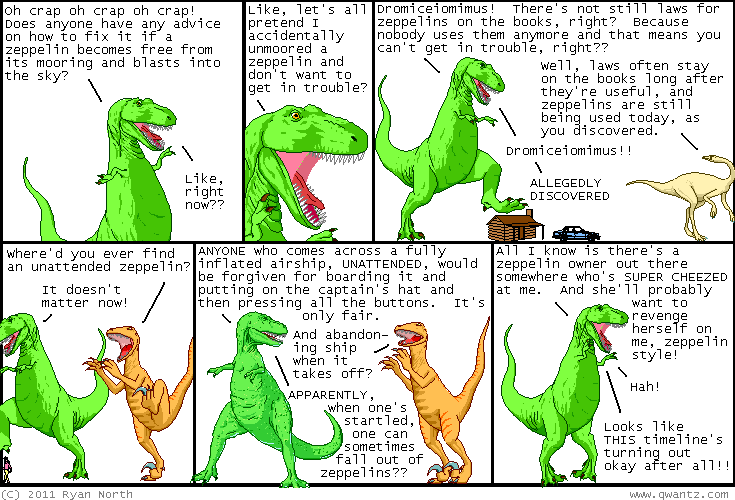 Dinosaur Comics - October 27th, 2011 - awesome fun times! –Pop Culture A + Pop Culture B! October 27th, 2011: Hold up hold up HOLD UP are these what I think they are? One year ago today: proportions of coloured males is stable in the long term, but fluctuates quite a bit in the short term, as the different tribes adopt different strategies. SO AWESOME, you guys.